Pioneering South African winemaker Eben Sadie is distancing himself from his wine venture in Priorat, which was poisoned by vandals last year. Sadie has made wine in the northern Spanish region since 2004 under the Terroir Al Limit label in collaboration with Dominik A. Huber and Jaume Sabaté. He works across 24 hectares of vines in the village of Torroja, sharing a winery with Huber for the 35,000-bottle production of six wines, including Dits del Terra, meaning fingers of the earth, and L’Arbossar. “Eben is phasing himself out of Terroir Al Limit. The project will be kept on by Dominik and Jaume, so it won’t close, but Eben has very little to do with it these days,” Sadie’s winemaker brother Niko told the drinks business at Cape Wine 2012 last week. Sadie will retain his 45% share in the company, but will be much less involved with the day-to-day running of the winery. 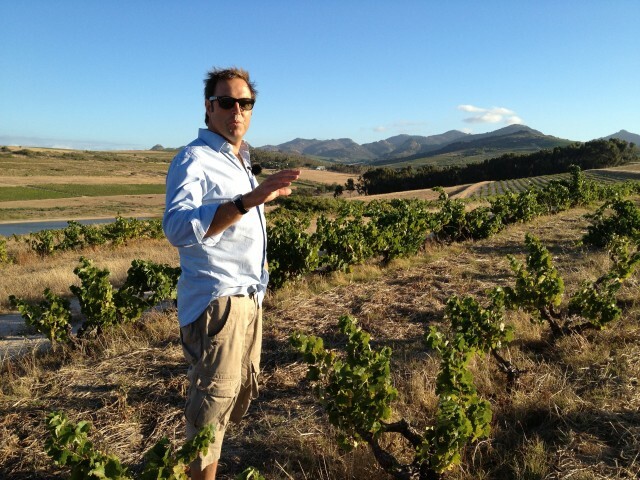 “I’m snowed under with Sadie Family Wines in South Africa, so will be spending increasingly less time in Priorat. Dominik is doing a great job, I don’t need to hold his hand every day,” Eben Sadie told db this morning. “I’ve scaled down my involvement with the project and won’t be flying to Spain to pick every last bunch,” he added. Last June, the Terroir Al Limit cellars were broken into at night by vandals who opened the taps of some of the tanks and contaminated casks with household bleach, leading to a loss of around 25% of the year’s production. As to why the poisoning took place, Niko believes jealousy of Sadie’s rapid success in the region had a lot to do with it. “The Catalans didn’t take well to the fact that Eben came over from South Africa and in a very short space of time was making one of the best wines in the region. “They didn’t like him being there, especially as he was doing so well internationally,” he said. Eben has yet to discover why the incident took place: “I’ve no idea why it happened, there were no unpaid bills. No one has been caught yet and the investigation remains open. It would be fantastic if we had closure but we don’t,” he said. “I’ve moved on from the poisoning. Things like this don’t get me down, it’s just an economic problem. So long as you’ve got your health and people around you that care about you, nothing else matters,” he added. Sadie is best known for his pioneering work in the Swartland region in South Africa, where he makes a number of wines in the region from Rhône varieties. His top red, Columella, is a blend of Syrah and Mourvèdre, while premium white Palladius is made from eight different varieties, including Marsanne, Roussane and Chenin Blanc. Sadie currently has no plans to enter into any further wine ventures outside South Africa. I thinkthat when you speak in the article on “Catalans” as enmity with this project it does not meet the reality. Normally is positive for a wine region to be appreciated by professionals from other countries. What are the reasons for the attack I don’t know. The name in the label sais: “SADIA” instead of Sadie — error?